GIFT CARD - choose your own value. Shopping for someone else but not sure what to give them? 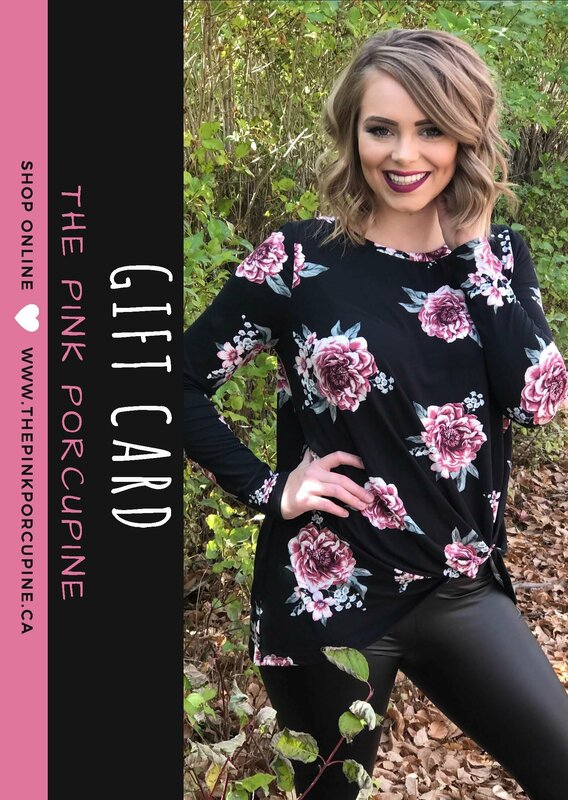 Give them the gift of style AND choice with a Pink Porcupine gift card. The gift that always fits- guaranteed! After checkout we will generate and email a unique single use coupon code which you can share with the gift recipient. The gift recipient can use this code at checkout to receive the corresponding discount on their next purchase.